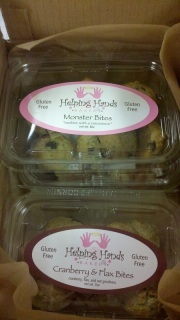 You'll receive a package of Monster Bites ( a loaded chocolate chip oatmeal cookie made w/gf oats, Cranberry & Flax Bites, Snickerdoodle Bites (cinnamon & sugar), and our ICB Chocolate Chip Cookie Bites. ICB stands for "I can't believe" these are gluten free. Gluten Free Goodie Goodie Pack: Good for you, good for others. 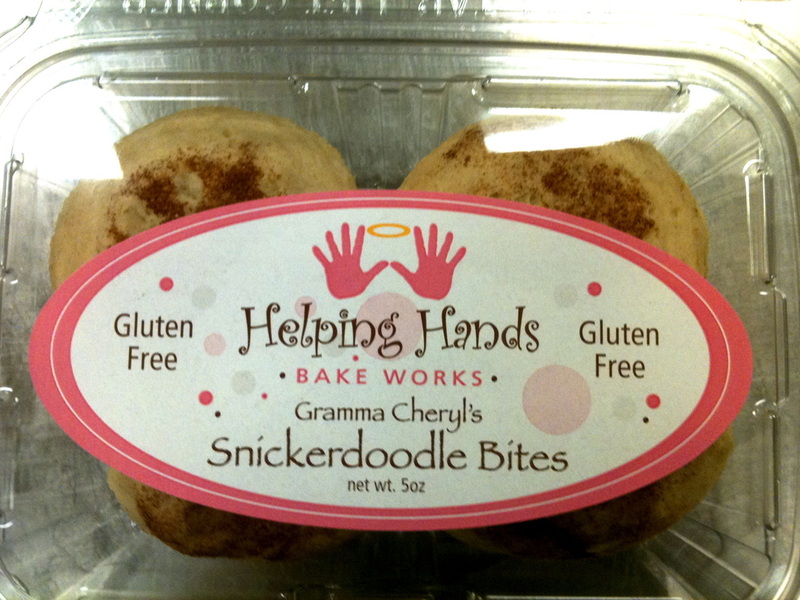 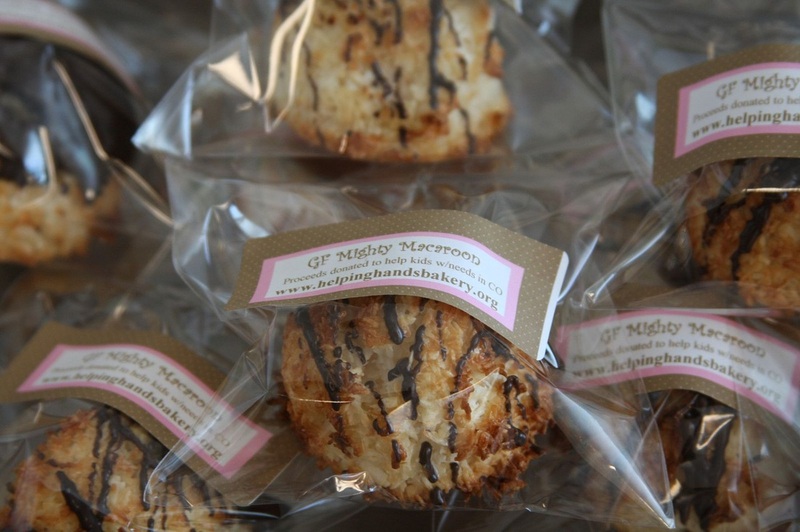 4 GF Giant Gourmet Macaroons, GF Chocolate Chip Bites, GF Snickerdoodle Bites, GF Monster Bites, GF Cranberry/Flax Bites, 4 BIG Cookies in each of our 4 flavors: Chocolate Chip, Snickerdoodle, Monster, and Cran/Flax. 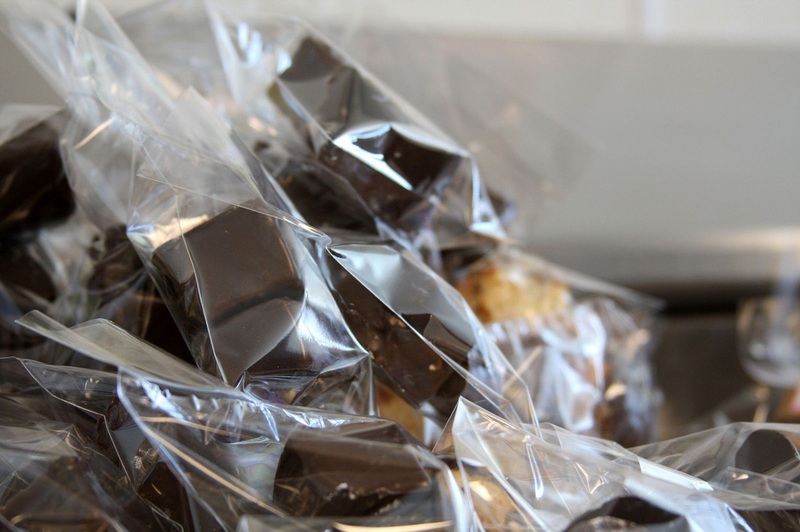 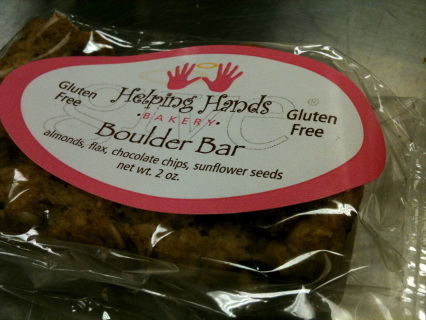 Let's not forget: 4 GF Boulder Bars in case you get hungry later. 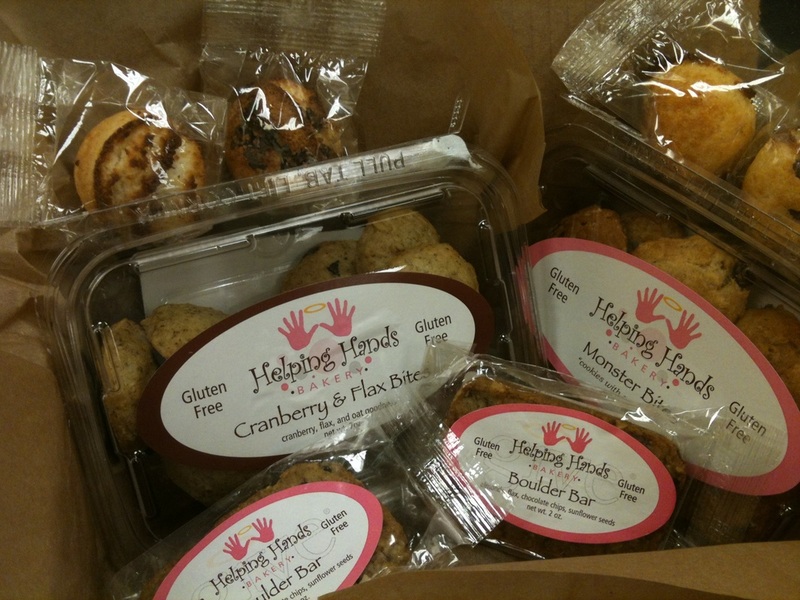 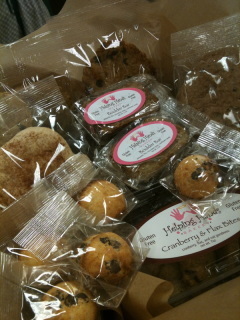 We love to throw in samples in each of our Gift Packs too! Ingredients: Certified gluten free oats, brown rice flour, white rice flour, potato starch, and tapioca flour, butter eggs, sugar, vanilla, coconut, raisins, chocolate chips, baking soda, salt, xanthan gum. 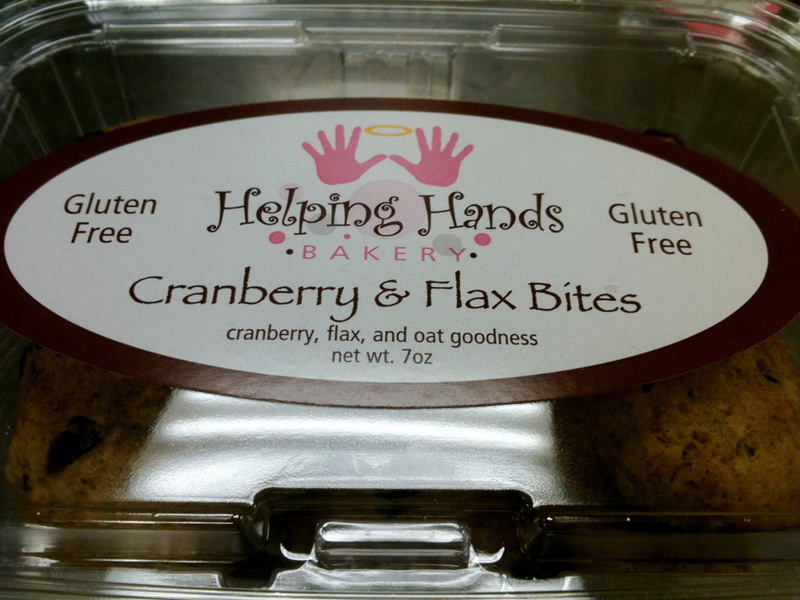 Ingredients: Certified gluten free oats, brown rice flour, white rice flour, potato starch, and tapioca flour, butter eggs, sugar, vanilla, coconut, cranberries, flax meal, baking soda, salt, xanthan gum. Ingredients: brown rice flour, white rice flour, potato starch, and tapioca flour, butter. 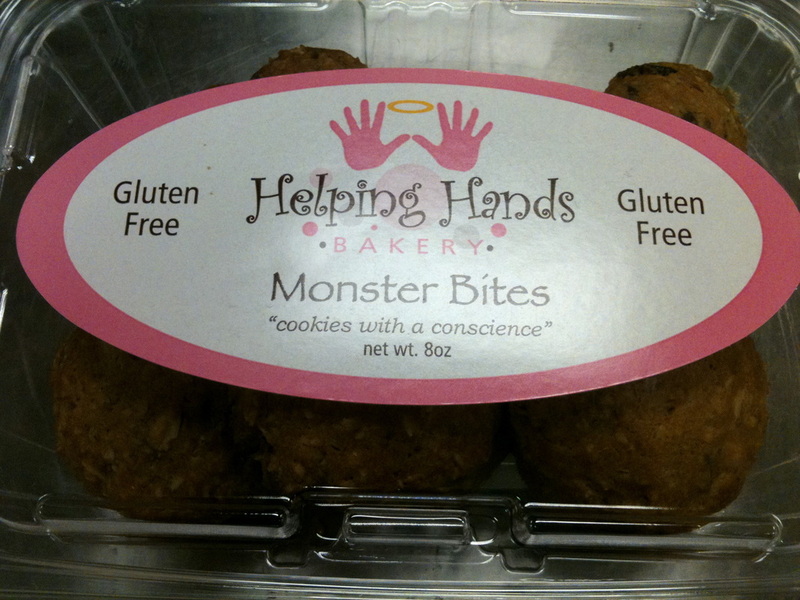 eggs, sugar, cinnamon, cream of tartar, salt, xanthan gum.